Canti Chair is Guaranteed In-Stock / Exclusive to Advanced Interior Designs! The Canti Flat Arm Chair by Alphaville Design is one of the greatest and most famous chairs of all time. Designed by the legendary Mies van der Rohe in Brno, Czechoslovakia, the chair is meant to reflect the simplicity of the environment. 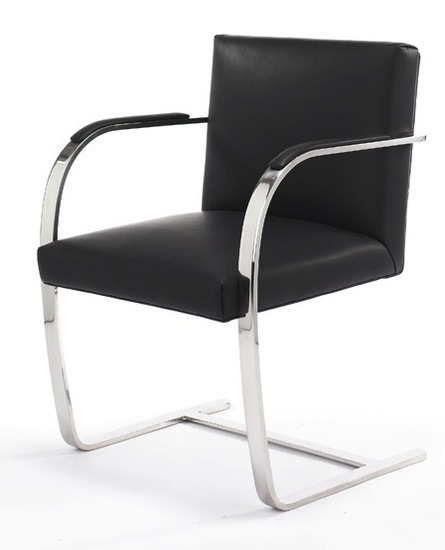 Cantilevered Mies-inspired chair, upholstered in all Italian leather on an extra thick 15MM (5/8") stainless steel frame of premium #304 specification. 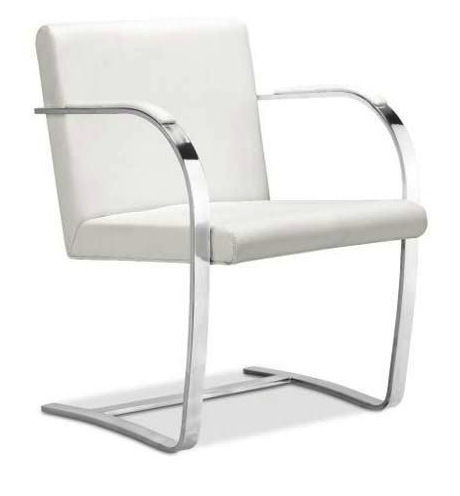 The Canti Flat Arm Chair is a masterpiece with the elegance well designed for both residential and office use. -- Please Choose an Option --	23.5"W x 23"D x 31.5"H: Seat Height - 18"